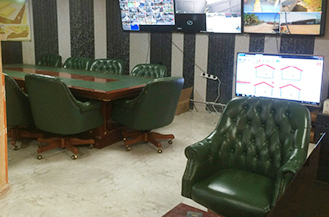 In 1997, major agricultural projects have been privatized, where the project was invested by Mr. Raed Hassan Abbas Al-Zalmi and Mr. Jassem Kazem Jassem al-Amiri. Project activity has been changed and developed to the breeding of poultry and the production of eggs in locally made hutches, in two floors with a total capacity of 53000 egg-producing chickens. 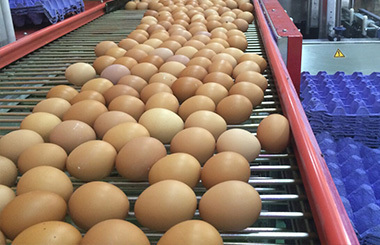 In 1999, ALYAQDHAN Company for Egg Production was established with the same capacity till 2008, where the company demolished the old building completely and re-constructed the project according to the latest standards of chicken breeding projects in cooperation with the Italian Fako company specialized in providing poultry projects with vertical hutches according to the latest electronic standards in this area and ISO Polo company specialized in civil engineering works. 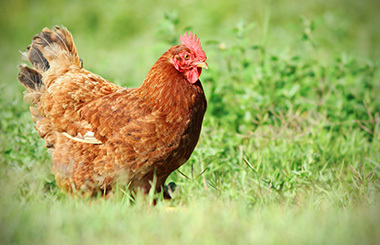 The first phase: project capacity has become 616520 egg-producing chickens. 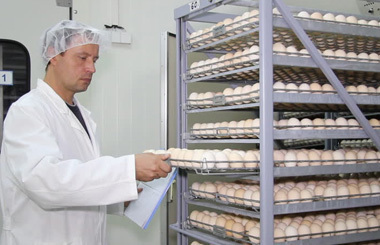 The second phase: total project capacity has become 776520 egg-producing chickens in addition to establishing a sophisticated fodder plant to meet the needs of the project with a capacity of 10 tons / hr of the project.